In the BMGF Flat Tummy Program I, along with physiotherapist and other experts, take you through 10 Modules that work in layers to teach you what you need to know to work on correcting these issues. With step-by-step videos, easy to understand directions, and more… BMGF shares her knowledge with you in a complete & coached-to-success system. Consult a physician before performing this or any exercise program. It is your responsibility to evaluate your own medical and physical condition and to independently determine whether to perform, use or adapt any of the information or content in this guide. Any exercise program may result in injury. By voluntarily undertaking any exercise displayed in this guide, you assume the risk of any resulting injury. Busy Mom Gets Fit LLC is not liable for any injury related to use or interpretation of this program. 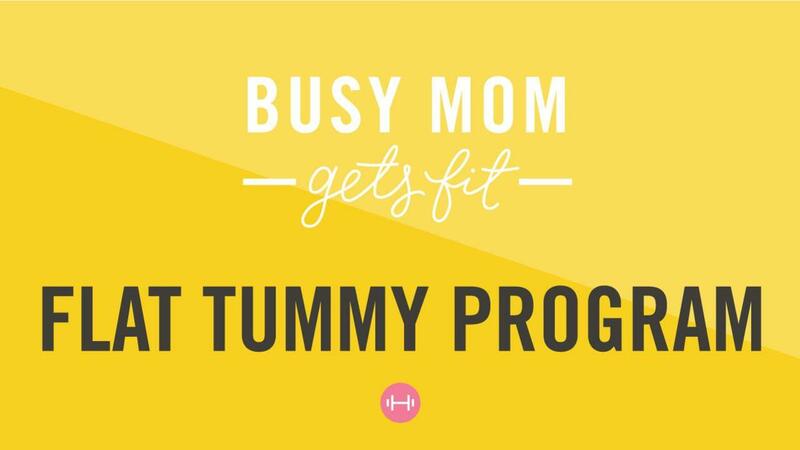 The materials and content in “Busy Mom Gets Fit Flat Tummy Plan” are for general health improvement recommendations and are not intended to be a substitute for professional medical advice, diagnosis or treatment. The information contained in this guide are subject to © 2015 Busy Mom Gets Fit LLC. Therefore no part of this guide may be reproduced, transmitted or sold without prior written permission of the Busy Mom Gets Fit LLC.